We had good week with these fish. 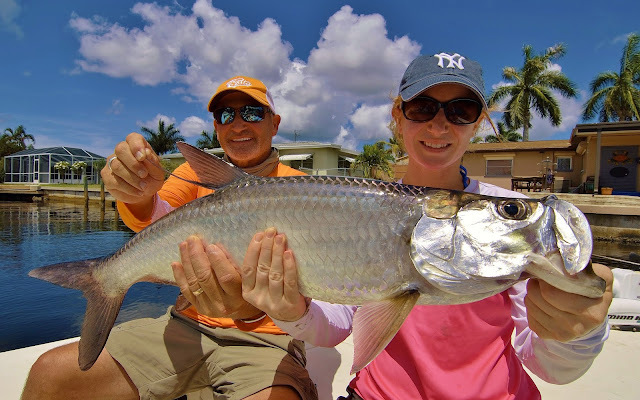 Four different anglers managed to land their first tarpon with me and a couple of them wound up with Grand Slams. The fishing was a little slower yesterday for locals Teresa Spano and her father Don but she managed to boat this perfect ten pounder right at the end of the morning. We were using live pinfish which are very easy to net right now and are perfect bait for every other inshore species, too.